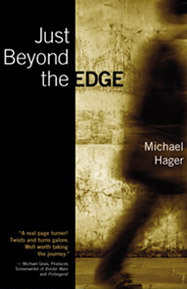 My first novel Just Beyond the Edge was released in the winter of 2011. Like most first time authors it’s a thrill to hold your first novel in your hands but as I learned over the past year it was just the beginning of a long journey. As many of my fellow authors know, to be successful in this new ever-evolving publishing environment of today, it’s all about building a “platform” for marketing and promoting your work. And guess what, you have to get out there and do it yourself! Even though I planned for over a year in advance of the book’s release, I have to admit it was still a challenge and for sure, presented a humbling educational opportunity about the publishing industry. Fortunately for me, it was overall a fulfilling experience. I sold a lot of books, met a lot of interesting people and even had the pleasure of co-presenting at book events with such bestselling authors as Catherine Coulter and Elizabeth Rozner. 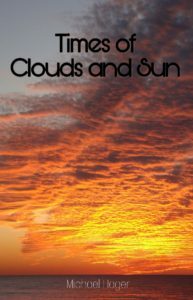 I just completed my second novel, Times of Clouds and Sun and I’m excited about where this new project will take me. Set in colonial Mexico and Texas in the 1980’s, Just Beyond the Edge is a conflict-filled saga that follows the exploits of three fiercely determined individuals as they struggle to prevent the destruction of both their personal and professional lives. The resulting struggle encircling this triad is fraught with suspicion and betrayal; leaving no one untouched by the steadfast grip of uncertainty. Times of Clouds and Sun follows two women, a generation apart, on a labyrinthine emotional journey through the depths of their estranged relationship. This mother-daughter saga, although rare in its idiosyncratic nature, will be familiar to anyone who has struggled to understand the complicated, often perplexing dilemma of familial dynamics.